Are you designing a program targeting people who work in architecture, construction engineering or design? 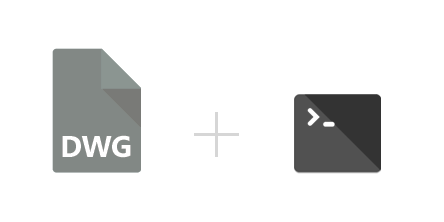 If so, you probably want to add DWG conversion as one of its useful features. DWG (“Drawing”) is one of the most helpful and popular formats in handling computer-aided design or drafting (CAD). However, though preferred by many for its ability to edit and optimize 3D design data and metadata, DWG files also have a few drawbacks. Firstly, in order to open them you need to have AutoCAD or IntelliCAD installed, and using these programs requires not only a powerful computer, but also special training. Secondly, DWG files tend to have very large sizes and require long loading times. For all these reasons, most people who work with DWGs prefer to be able to convert them into PDFs, because thus it becomes much easier to store, open and e-mail them. This entry was posted in Command-line and tagged command line, converter, dwg on July 20, 2015 by reaconverter.